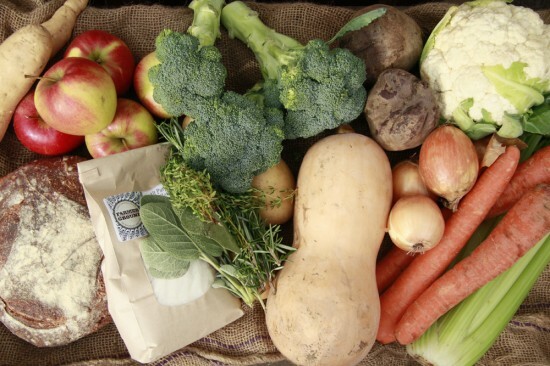 For the second year, Local Roots NYC is offering a Pop Up Thanksgiving CSA–basically all the fresh, local goodness of your usual farmshare, but with a special, bigger selection of ingredients curated for Turkey Day. Choose from whole turkeys, fresh vegetables, fruit, homemade bread, ciders, cheeses, desserts and more to fit your own Thanksgiving menu. And the best part is that you can get the share delivered–for a small fee–if you live in Manhattan, Brooklyn or Queens, or pick it up yourself at one of the following locations: in Brooklyn, 61 Local in Boerum Hill, Brooklyn Farmacy and Soda Fountain in Carroll Gardens, and Diamond Bar in Greenpoint; in Manhattan, Jimmy’s No. 43 in the East Village. Click here for more details on the food, pricing, and to sign up by Friday, October 26.